This gorgeous Torch Lake Tour includes stops at Northern Michigan breweries, cideries, distilleries, meaderies, and wineries that surround beautiful Torch Lake. Sip craft cocktails and local brews while you take in breathtaking views. The Torch Lake Tour was established by craftsmen and women who strive to create high-quality, local products and help you learn more about where ingredients are sourced from. Nick Lefebre, co-owner of Ethanology in Elk Rapids, was the catalyst of this agritourism venture bringing together several beer and wine aficionados. The tour includes nine stops. Groups can book the Brew Bus (4-hour tours start at $399 and seat 10–12 people) or Traverse City Wine and Beer Tours (4-hour tours start at $399 and seat 7 people; other options available). You can also go on a self-guided adventure (designated driver always recommended). Take a peek. Video by Torch Lake Tour. Torch LAke Tour – Let’s GO! Start your journey at Royal Farms Winery. Owner Sara McGuire has created a cherry-filled oasis complete with a wine tasting room and market with homemade baked goods. The tasting room showcases beautiful views of the farm and nearby flower garden. First stop, Royal Farms in Ellsworth. Next up is Mammoth Distilling in Central Lake. The tasting room has a hip, urban vibe and serves creative craft cocktails. The menu contains concoctions like “The Dude,” a vodka heavy drink with cream, coffee liqueur and Coca-Cola. After Mammoth, the tour takes you to Bellaire where you can grab something to eat with your beer at the well-known Short’s Brewing Company. When you’re finished, head across the street to the less well-known but equally tasty Bee Well Meadery where owner Jeremy VanSice, a former head brewer at Short’s Brewing, is creating delectable meads and ciders. 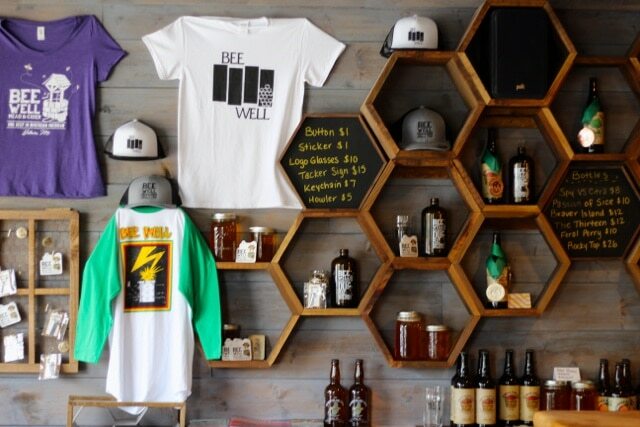 Bee Well gives patrons a true taste of Northern Michigan. Honey from local bees and apples from local orchards make Bee Well’s meads and ciders truly products of their surroundings. Not far from downtown Bellaire sits Torch Lake Cellars. The Sheneman family, who has owned the farm for several decades, puts care into every product. Wines are named after local attractions that encircle the 19-mile body of freshwater. Try the Deep Water Point Pinot Grigio or Kalchik Cherry Wine, made from, you guessed it, locally grown cherries. Continuing south around Torch Lake, stop in the quaint town of Alden and visit Vista Ridge Vineyards. Grab a glass of vino and sit out on the patio to catch a breeze from the lake. The tour then takes you through Elk Rapids where you’ll encounter the science and art of distillation at Ethanology. Owners Nick and Geri Lefebre are believers of natural and sustainable practices. Ethanology sources ingredients from local farmers to provide flavor profiles that encompass Torch Lake and the offerings of the area. 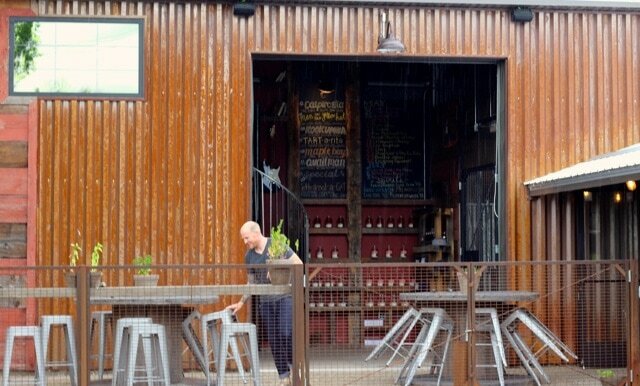 In the industrial chic distillery and tasting room, enjoy live music, cocktails resembling works of art and some of the finest spirits imaginable. Ethanology is making Elk Rapids a spirited destination. Not far from Ethanology is Townline Ciderworks. Townline sits on an expansive property giving you wide open views and picturesque scenery. Ciders range from dry to sweet and everything in between. 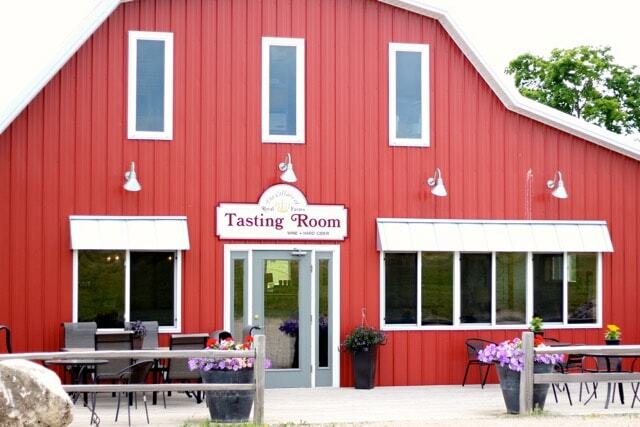 With your tour coming to an end, don’t miss Waterfire Vineyard on the west side of Torch Lake in Kewadin. Chantal Lefebvre, the resident proprietress, grower and self-proclaimed wino, takes immense care of her burgeoning vineyard. The property’s name pays homage to Torch Lake—water referring to the lake and fire referring to torch. In Waterfire’s whimsical tasting room, you feel like you’re lounging at the home of a close friend. Finley, Seymour and Wren, the unofficial four-legged greeting crew and pest control pups, add to the relaxed atmosphere. Waterfire Vineyard is a relaxing spot to end the day. 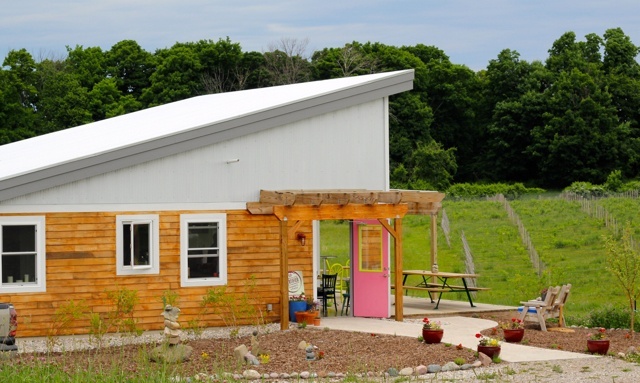 The Torch Lake Tour showcases alcohol artisans who practice sustainable farming or source from local farmers who do. Through their artistry, each of these establishments show that awareness of sustainable farming should include craft beverages, and that beer, wine and spirits should be able to stand up to the same scrutiny as other locally grown foods. Take the tour, have a taste, and dip your toes into the blue water.